If registering before July 12, 2019, you have the option of paying just a deposit at the time of registration. Mountain Lens co- founder Jeff Miller's mission is to help photographers capture the natural beauty of the Southern Appalachians, share it, and ultimately preserve it. He pursues his mission through “immersion” in photography – field trips, consulting, critiquing, and offering digital imaging and printing services. In this unique long-weekend workshop, participants will experience the full life cycle of black and white photography from selecting a subject, to shooting, editing and printing. In a world of color, black and white photography offers the photographer the opportunity to get back to the basic essence of photography – the importance of visual design, composition and exposure. That is why well executed black and white images have such enduring appeal. But shooting for, editing and printing black and white images require different considerations than working in color. Today’s digital cameras, digital darkroom software programs and digital printers provide phenomenal advantages for producing black and white prints that would make Ansel Adams envious. In this hands-on workshop, Mary Louise will explain how to identify and previsualize scenes with strong black and white image potential. Participants will then spend a day practicing these techniques photographing at nature photography locations in the region and other unique items like antiques. Then it’s on to the digital darkroom where Mary Louise will share her step-by- step approach for optimally converting images from color to black and white using Adobe’s Lightroom program. 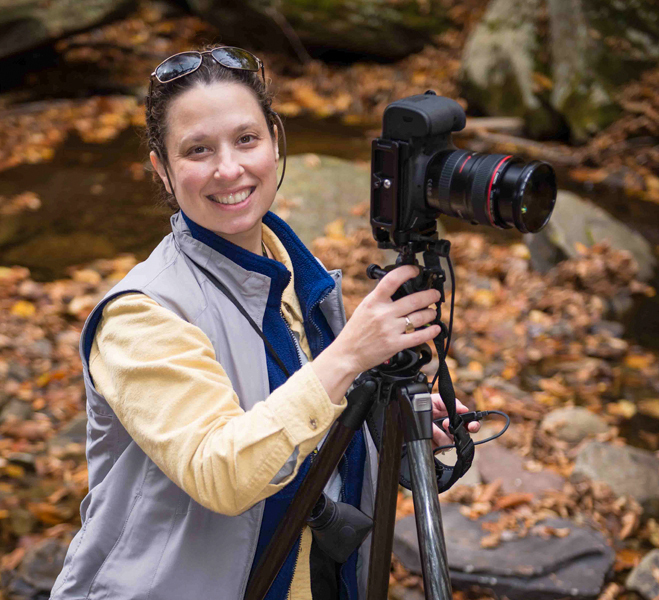 Joining Mary Louise in teaching will be master printer and Mountain Lens co-founder Jeff Miller, who will explain how to produce the best black and white photographic prints. Experienced beginner, intermediate and advanced DSLR or mirror-less camera users. Participants must be familiar with basic camera operation, including the setting of aperture, shutter speed and ISO. Participants should also have some basic experience with editing images using Adobe Lightroom software (either Classic or CC versions). If desired, participants can bring their own laptop, but they will be able to use one of the 27 inch iMac machines available at the training facility. Class size is limited to 6 students. Shared on-site accommodations can be booked directly through Mountain Lens. Mountain Lens can also offer suggestions for off-site accommodations if desired. "I liked being able to learn about how to do post processing and printing of my photos. Both instructors were outstanding - very informative and knowledgeable. This has been the best workshop I have taken." - Roger B. "Great facility at Mountain Lens with wonderful accomodations. It was a quiet facility with beautiful property - Highly recommend it. I liked that the workshop covered everything about black and white from in-camera settings, to shooting, editing and coming home with a beautiful black and white print. It was definitely a good value for the money" - Anne S.
"I would absolutely recommend this workshop to others. You learn a lot, put it into practice from shoot to print in a superb environment with top notch instructors." - Sandra B. "Mary Louise was a wonderful instructor - very knowledgeable, skilled, and a great teacher. Love her! Jeff was great - very helpful" - Susan W.
" What I liked best about the workshop was the integration of the printing, having multiple printers and a master printer, Jeff, onsite. Mountain Lens was a great facility, well provisioned with quality furnishings." - Kevin L.
"I would recommend this workshop, it provided very comprehensive coverage of B&W from shoot to print, I haven't had another class this comprehensive. The timing and level of knowledge gained seemed in line with the price." - Beth B.